Tweeting is part of my life, and events are a great place to really experience the magic of Twitter. Most events nowadays have a hashtag, which is invented by the people who create the event. When I run my social media seminars, I usually use the hashtag #dontignoreit, meaning “Social Media – can you afford to ignore it”. A quick rundown of the “why” before I dive into the tips! Your followers know you are at the event. By tweeting about the event, and with the hashtag, you and other poeple in the room who are doing the same are essentially inviting other people who are not physically there to share the experience. Often, we get tweets from those who follow us, or retweets. By being one of the people actively tweeting at an event, you raise your profile. Not only from poeple who are watching the hashtag while not there, or people who are looking at the tweets while at the event, but also often if the event displays tweets on a screen, your name and Twitter stream would be seen by the delegates there. For this particular event, my job for the day was to be the official Twitter account for the event. Quite a big responsibility. It’s important to prepare your Twitter account so you make the most of the opportunity you have on the day. Follow others who talk about the event – In the run up to the event, note who is going to the event, and follow them on Twitter. Create different Twitter lists – specifically for delegates and for speakers, so you can check what they are tweeting and start interacting with them before the event. Tweet relevant content – In my case the event was about marketing for young people (also known as “millenials” and “digital natives”) so we tweeted links to relevant articles on blogs and news websites about this, as well as general buzz creating tweets about the upcoming event and conversation with others in the same niche. Bring your kit and find a power source As I brought my laptop for the day, I looked for the power source and ensured I kept charged up. Even if you just use your smartphone, it’s a good idea to bring your charger, many venues nowadays have plugs on the outskirts of the room and you can congregate with other people who hang out by the plugs! Keep the tone light with hashtags, so the tweets are interesting Try not to be too “samey” with your tweets – keep the tone light as that’s the general culture of Twitter. Tweet images of the event Share images with your followers, so people can see what the event, venue, speakers, delegates stage and food look like. Retweet the other people tweeting with the hashtag If you see other poeple tweeting things you like or agree with – retweet them! You will make new friends and followers that way, and your followers will also get to see other poeple’s points of view. Follow others in the room As you are at the same event, follow the people in the room, who are also tweeting and using the hashtag. You came to the same event, and you may not meet each other that day (unless you “work the room” like a crazy person!) but you can start to get to know them on Twitter. Follow people who are similar industry who would be interested in the event On the day, you are busy tweeting about a specific topic (whatever the event is about) so if you choose this time to follow people who would also be interested in that, you will grab there attention – if the look at who just followed them, and see you are tweeting about X and they are also all about that X topic, well – you’ll see – many will follow you back! So, now you have all the info you need to tweet live at your next event! Send me a tweet and let me know what you think! 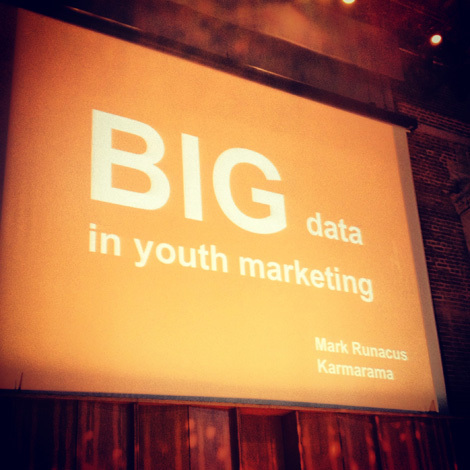 You can also find out more about my day at the Youth Strategy Marketing event here.